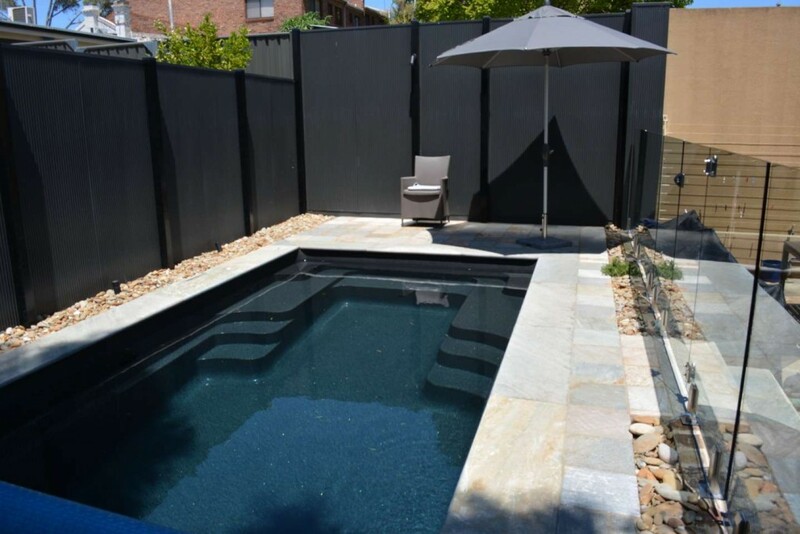 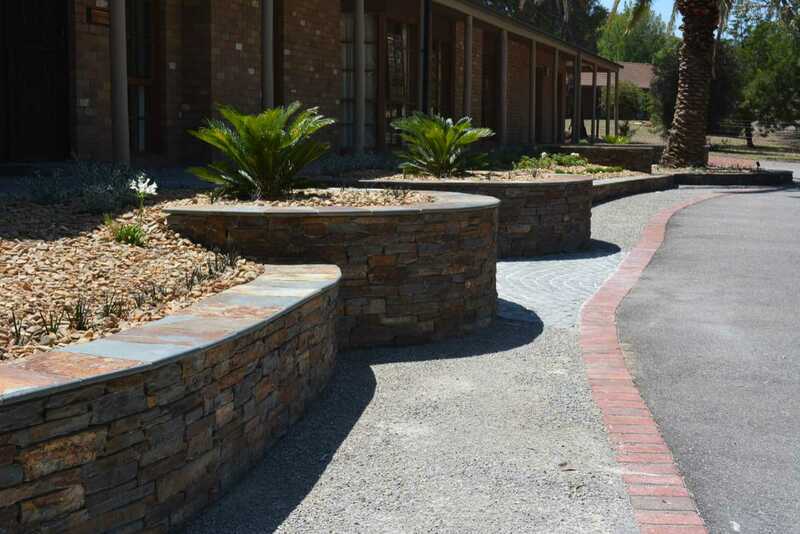 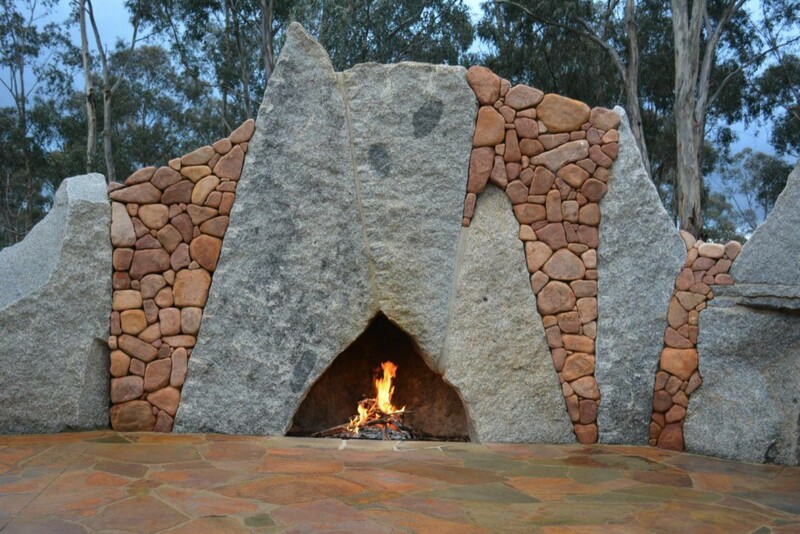 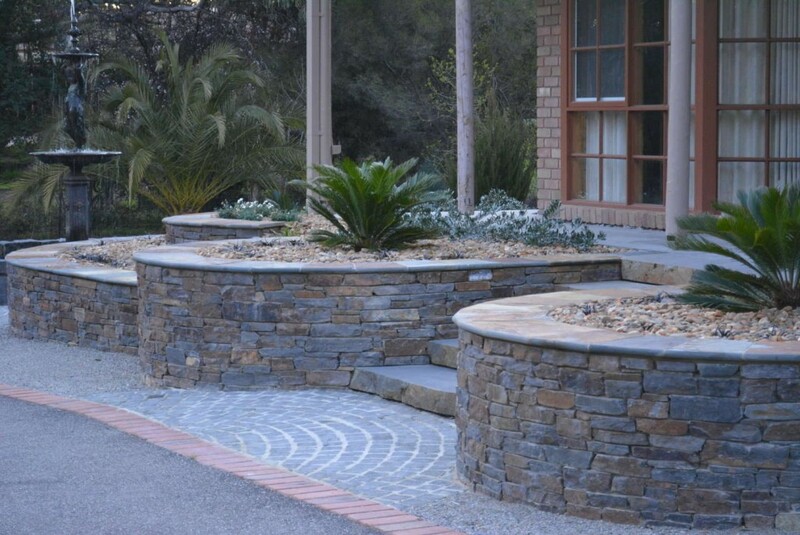 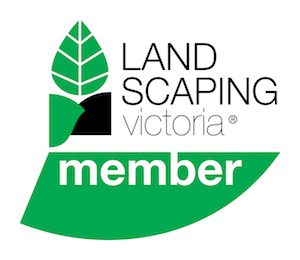 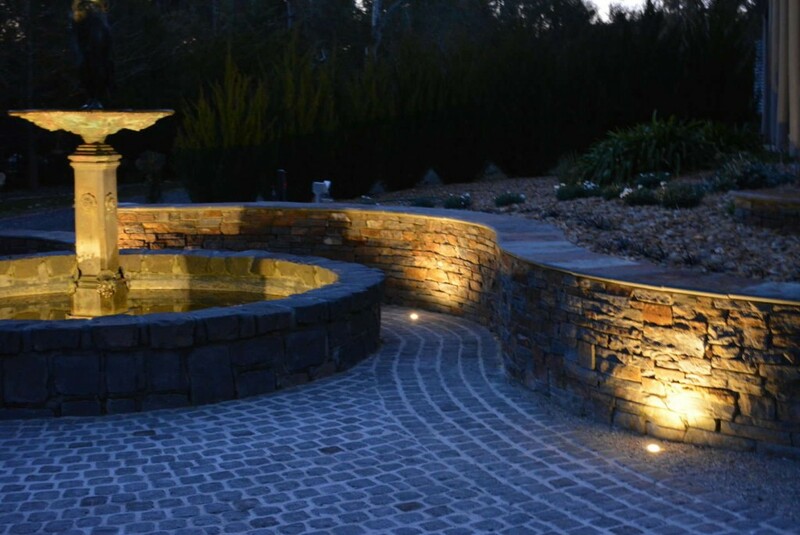 This outer Bendigo landscaping project (Big Hill, Central VIC) is an excellent example of a large garden renovation that is as stunning at night as it is during the day. 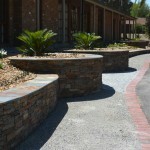 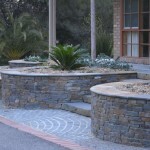 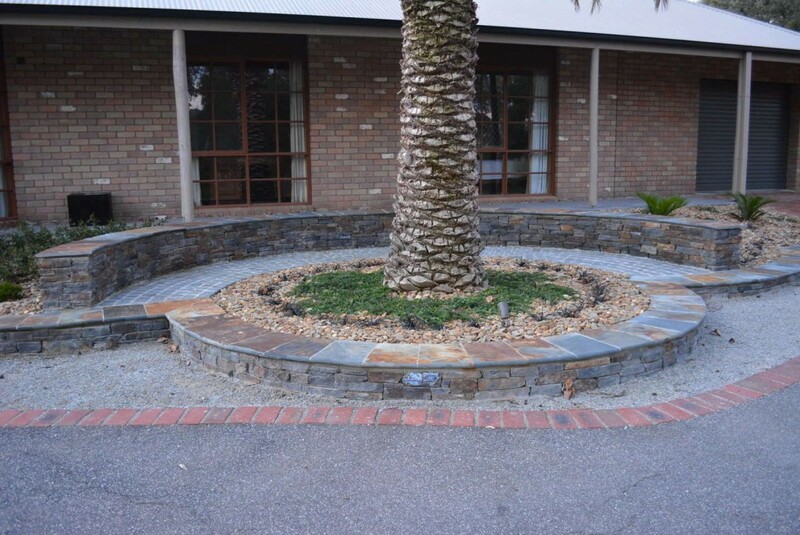 Dated, old brick steps and large shrubs were removed to open up the area and create a new and exciting entrance space. 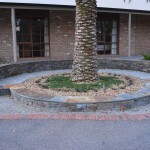 A mature date palm tree was transported to site and craned into place before the stone works was commenced to contribute to the look and the feel that it has been there for decades, while the rest of the garden grew up around it. 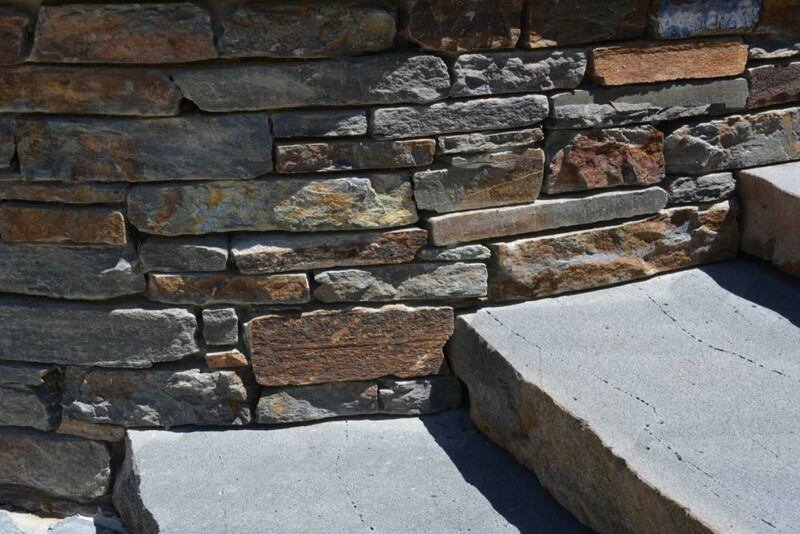 The stunning stone walls were built using Wistow stone and sawn cappers, while the paving consisted of bluestone setts and sawn Bluestone pavers and gravel paving. 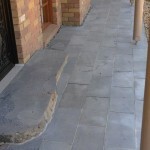 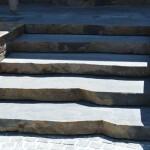 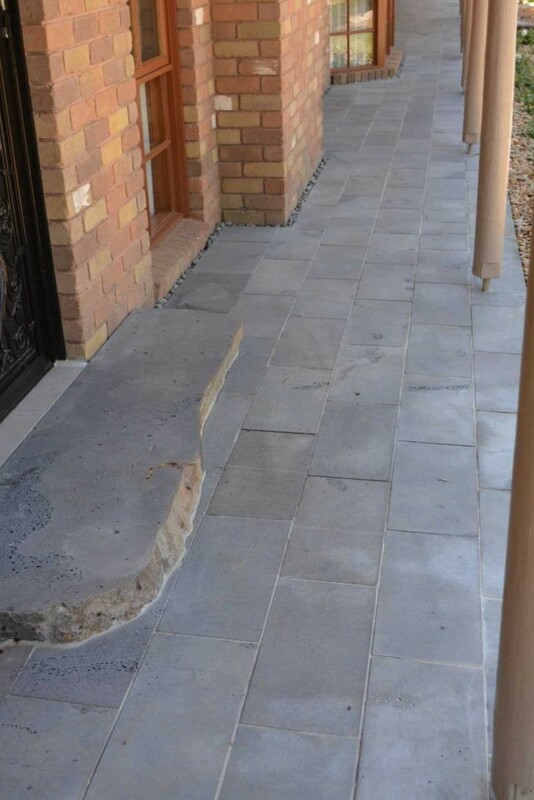 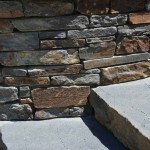 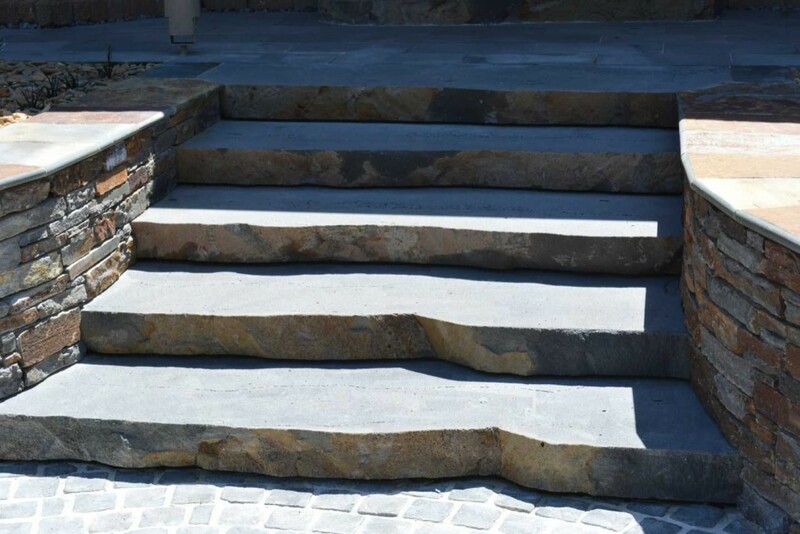 The steps were formed by custom sawn Bluestone slabs, creating a pathway that is both memorable and functional. 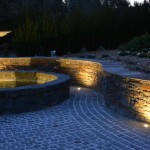 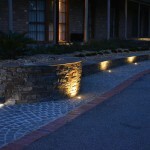 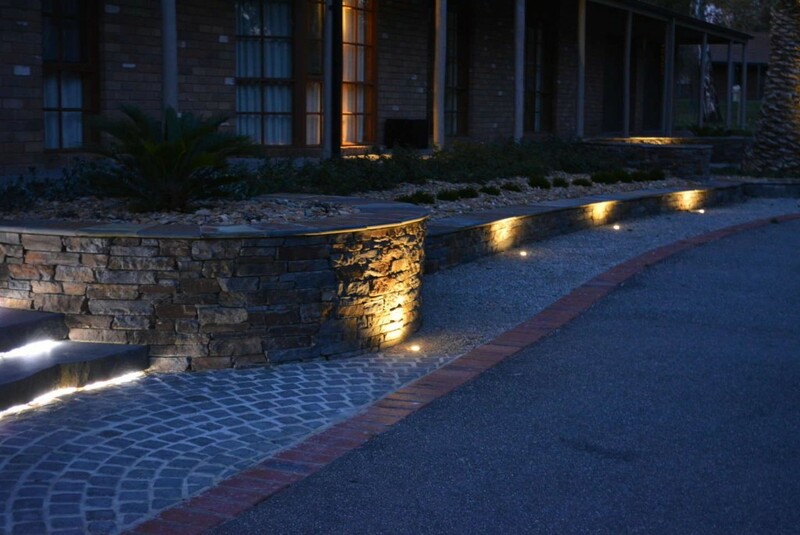 To create a space that can be enjoyed and shown off day and night, subtle strip lights were installed in the bluestone steps, while the sandstone walls are up-lit by small lights installed in the gravel paths.